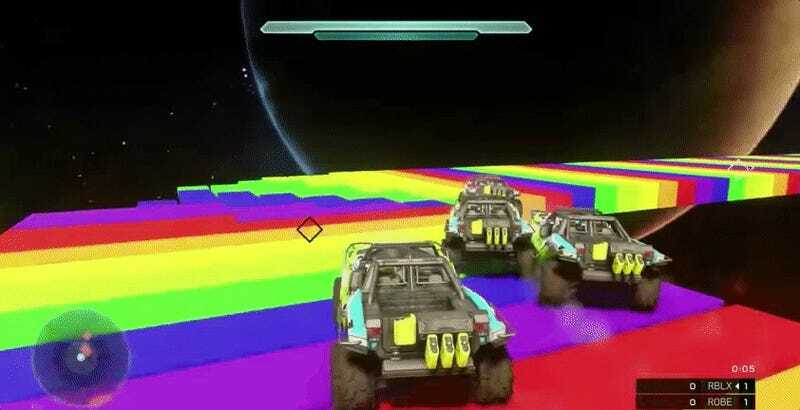 Rainbow Road, the dangerous and psychedelic Mario Kart map you and your friends barely survived in elementary school, is now a Halo 5 map. And, yes, of course you can race on it. The map accommodates up to 10 players. It’s got all the thwomps and twists and turns and traps that will test your ability to keep a clunky SUV on a floating, rainbow race track.